Bryant Park Blog: Bryant Park by the Numbers: Chair Plaques, Boot Camp, and More! Bryant Park by the Numbers: Chair Plaques, Boot Camp, and More! 1: The Josephine Shaw Lowell Memorial Fountain at Bryant Park, dedicated in 1912, holds the distinction of being the first public monument in New York City to honor a woman. 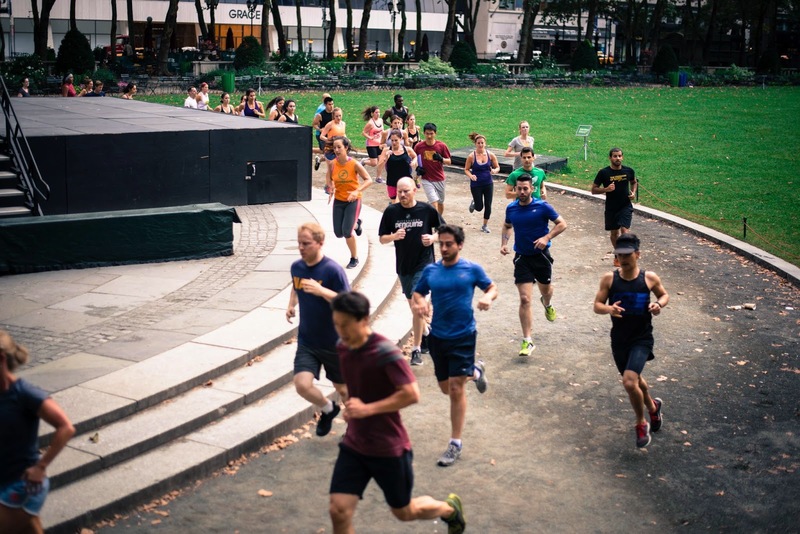 54: Jump start your Wednesday with Bryant Park FitClub: Boot Camp with The Rise NYC. On March 25, 54 participants attended the 6:30am session, and left feeling energized and ready for the day. Participants in Boot Camp aren't deterred by the cold! 19,658: Last year, 19,658 attendees enjoyed 110 performances of Piano in Bryant Park from May through October. We thank our partners Local 802 Musician's Union, Sam Ash Music, Jazz Center of New York, and Music Performance Trust. 187: Thanks to our partnership with the Alzheimer’s Association, we recently added 187 chair plaques dedicated to Alzheimer’s patients to the park. Visit Bryant Park Shop to dedicate a chair plaque to a loved one. 846: This past summer, in the same park where skaters and shoppers enjoyed the amenities at Bank of America Winter Village, we presented 846 warm-weather classes and events. Subscribe to MidCity News to read more Bottom Lines, and to be in the loop with news, events, and information from Bryant Park and our sister district 34th Street Partnership. For additional information about data we keep at the park, check out our Bryant Park by The Numbers blog series.